A doctor who pioneered the ear, nose and throat (ENT) specialty in Hong Kong has died at the age of 92. Dr George Choa Wing-sien was one of the first batch of four University of Hong Kong medicine graduates to take up appointments as specialists in public hospitals. He went on to serve as an honorary lecturer in surgery at HKU for half a century. A private funeral will be held today for Choa, who is also remembered as a tireless advocate for the rights of deaf people. A thanksgiving mass will be held in January. Choa led various medical organisations, including the Hong Kong Medical Association, and was one of the first surgeons to perform a stapedectomy - a middle-ear operation to improve hearing - on a Chinese patient. He passed away peacefully on September 20 after spending time in hospital with pneumonia, said his daughter Gillian Choa. Former Hong Kong ENT Society president Dr William Yip Po-tin said: "I respect him very much. He was a gentleman among gentlemen. Very decent and very dedicated." Yip was a student of Choa in the 1960s. Choa was the main person behind ENT becoming recognised as a sub-specialty in Hong Kong, Yip said. Retired judge Yang Ti-liang said he had been good friends with Choa for decades. "The loss of George is a particularly sad blow to me," Yang said. In a 2006 interview with the Hong Kong College of Otorhinolaryngologists' news magazine, Choa said that when the government was looking to recruit the first specialists for training at Queen Mary Hospital, he opted for ENT work because he enjoyed delicate surgery. Along with other HKU medical students, he was forced to continue his studies on the mainland during the Japanese occupation. His four years at the Yale-in-China Medical School saw him and his fellow students forced to move provinces to avoid the advancing Japanese. 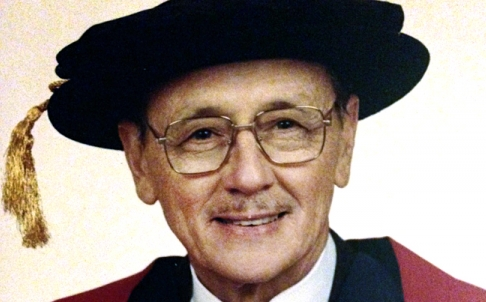 After spending time training in Britain, he was appointed an honorary consultant at Tung Wah Hospital in Sheung Wan, where he served for 25 years. "Because of the poor conditions and a lack of well-trained surgeons, people used to go there when they were almost terminal," he said in the magazine interview. "I think that period was enjoyable because I helped to develop modern surgery there." At his instigation, Tung Wah Hospital obtained its first operating microscope. Choa, a father of five, also founded the Society for the Deaf.